Life is monotonous. Most days are the same, in and out – wake up, eat breakfast, go to school and work, come home, have dinner, go to bed, wake up and do it all again, maybe with a soccer practice thrown into the mix for good measure. In many ways, that sort of routine is good and comforting for children. 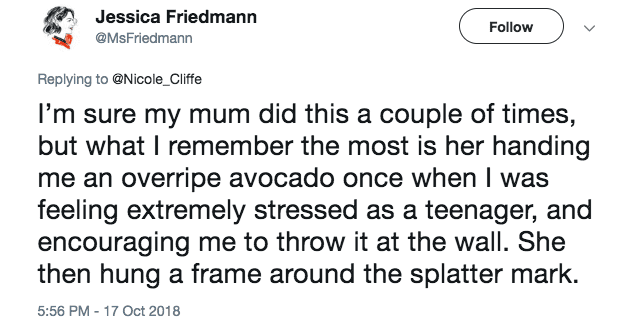 For those lucky enough to have nice childhoods, though, what it also means is that we have trouble retaining many specific memories since so many of our days bled right into the next. We remember the out-of-the-ordinary. 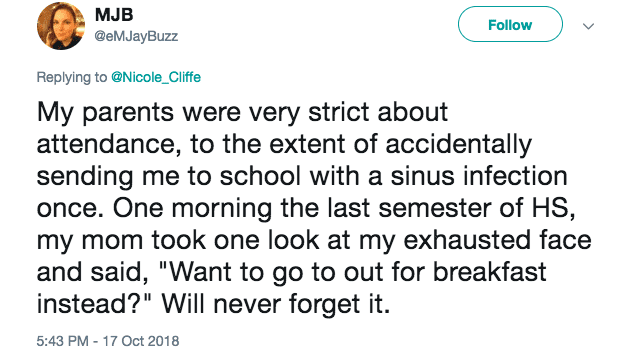 The big trips, sure, but also the days when we got to take McDonalds to school after a doctor’s appointment, or when we stayed home sick and Dad let us watch movies all day on the couch. 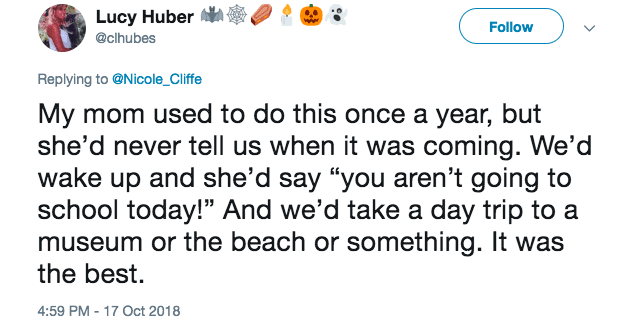 Recently, writer Nicole Cliffe shared a tweet about taking her kid out of school early for a surprise move and ice cream, and it reminded Twitter of how something so simple had the ability to totally make their day as kids. 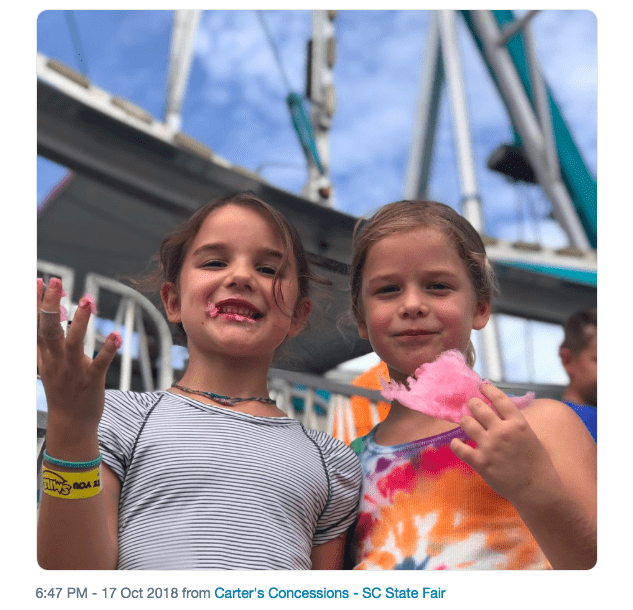 Not all parents have the luxury of being able to take off work early or to fund special trips, but the truth is, even an unexpected afternoon at the park or a bowl of popcorn and a later bedtime will do the trick if you’re looking to surprise your kid out of their usual routine. Others piled on her thread with sweet, heartwarming, and sob-worthy stories about their own unexpected childhood memories. The takeaway seems to be that kids, like grownups, need mental health days once in a while and that most of our good memories, if we take the time to analyze them, boil down to simply feeling singled out and special. 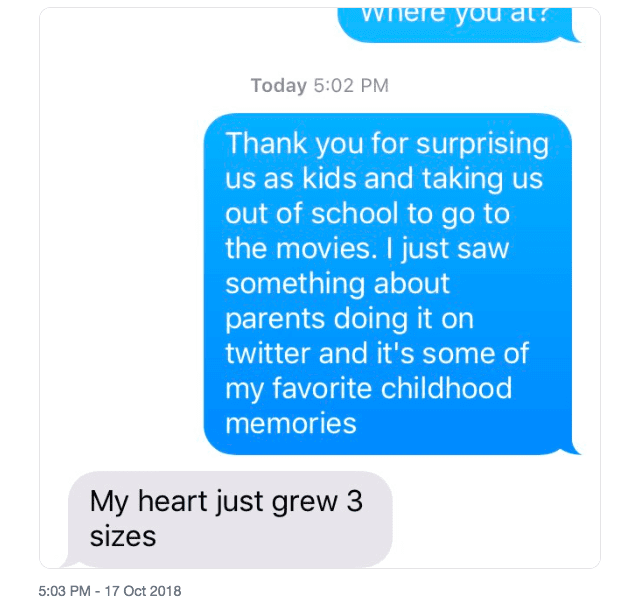 Think about the moments from your own childhood (I sure hope there are at least a few!) that made you feel that way, and consider how you can recreate them with your own kids. Then, maybe, in a few years and on whatever social media platform is cool at the time, you just might get your own heartfelt thanks.